With a population approaching 55,000, Hoffman Estates is a full-service community. The need for an easily deployable mobile CCTV surveillance solution was requested by the Police Department. Pace Systems CCTV and OIT engineers began to put together a list of requirements to come up with the ideal solution that incorporates, mobility, simple operation, long term deployment, configurable options and remote control and video management. 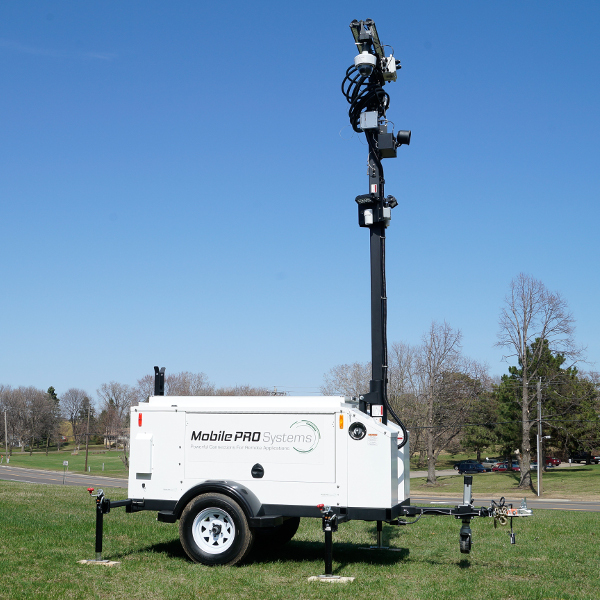 Pace Systems partnered with Mobile Pro Systems to design a Commander 3400 full-sized mobile surveillance trailer to fit the requirements set forth by the VOHE PD. With a base platform provide by Mobile Pro Solutions, Pace Systems design team was able to meet all expectations of the VOHE PD by selecting CCTV camera options for IR PTZ, 4K fixed cameras, public address speakers, area LED lighting, cellular network communication and solar panel back up charging. The Village of Hoffman Estates Police Department now utilizes a state of the art mobile CCTV solution that can be deployed rapidly for short/long term applications and suitable for a wide variety of situations and configurations. VOHE PD and OIT were impressed with the overall ability of Pace Systems design and Tech Team to deliver the mobile solution and accommodate every one of their requirements for the project.